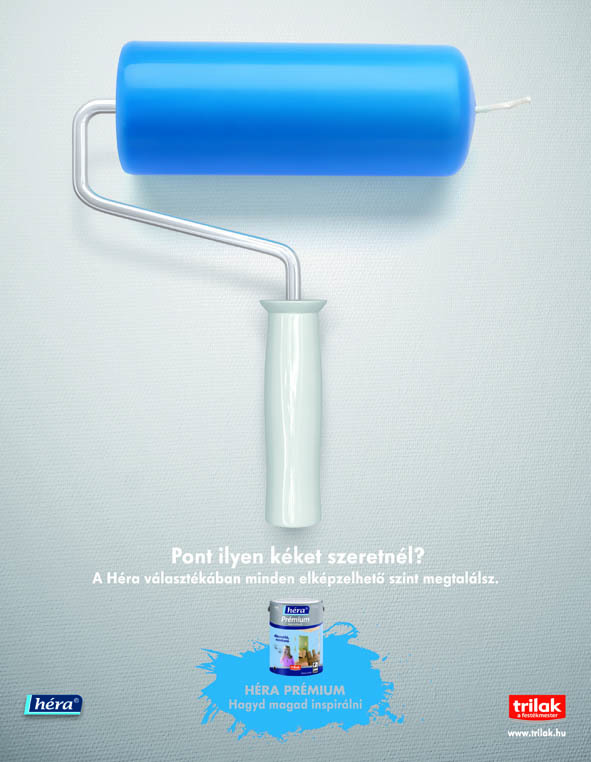 Héra, the sub-brand of the paint brand Trilak, was newly positioned as a ‘source for inspirations’, because of it huge variety of colours. 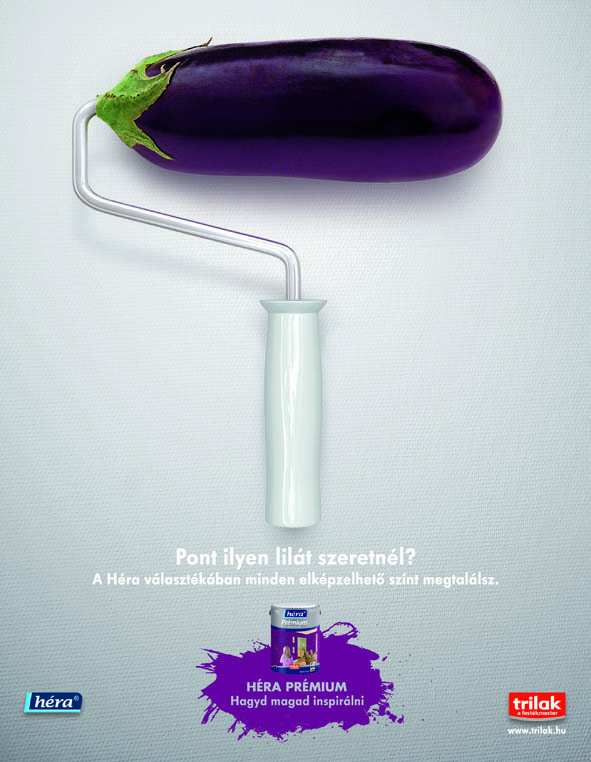 The idea for the print campaign arose from the insight that “people actually go to paint shops showing objects / vegetables / clothes they like the color of, and would like to have it on their walls”… By showing interesting objects on the brush, we not only communicate that ideas can come from anywhere but also that all possible colours are available in the Héra range. 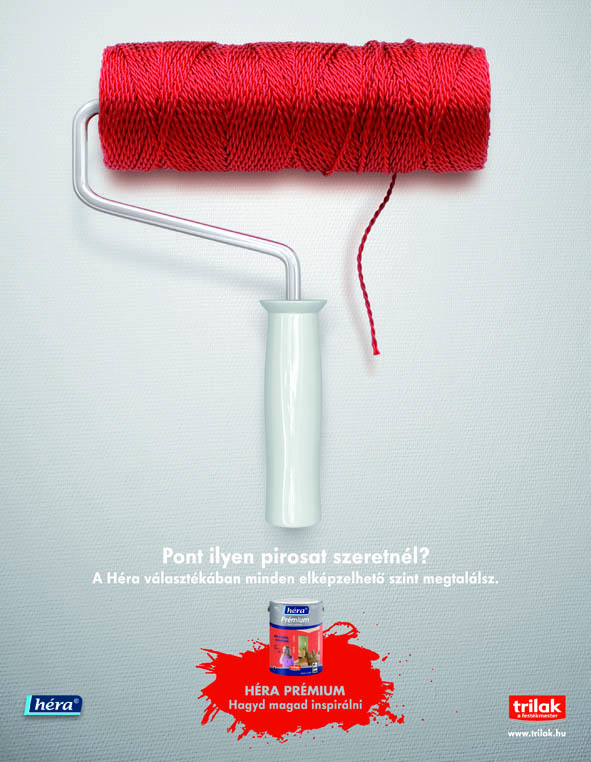 By showing interesting objects on the brush, we not only communicate that ideas can come from anywhere but also that all possible colours are available in the Héra range. We created symbiotic advertising: we took a 30 sec independent ad that ran anyway, and put our 10 sec tag-on after it, whenever it ran. We did this with 3 independent ads, and essentially created 40 sec TV spots for the price of 10 seconds, really demonstrating (with the help of symbiotic advertising) that an idea can come from anywhere—even from other ads. Let yourself get inspired!